Introduction, LBP strategies & lower limb. This is NOT JUST another course telling you movement is important or showing you some new exercises but a course about PEOPLE who move and how to actually apply movement and exercise to them in an informed way. You could describe it as clinical reasoning for exercise and rehab! It is NOT about the BEST exercise for back pain, a system or a protocol but instead what might work for YOUR patient. Many therapists struggle taking modern academia around pain and movement and translate it into practical application. This course will outline how to simply apply both physical & cognitively driven components for a therapeutic approach based around HUMANS rather than simply their structures. This course is applicable for anybody working with people with injury or pain. Physiotherapists, Sports therapists, Osteopaths, Chiropractors, S & C coaches, Personal trainers, Massage therapists. 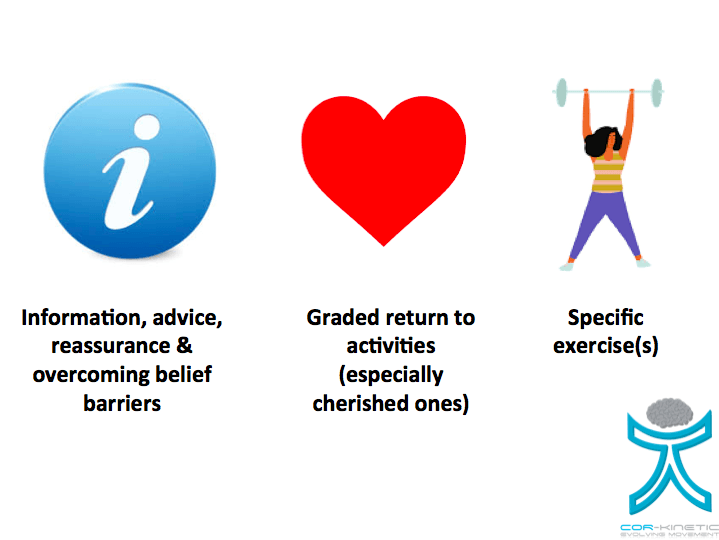 Looking at the research – What does the research for exercise and movement for pain & rehab tell us? What should we look for and how to apply it in practice. Thinking about clinical reasoning – How can we bring it all together in a systematic way that is not a system. How to Manipulate modern exercise variables such as loads, speed, ROM, position & duration to achieve lasting physiological and CNS adaptations. Learning how to correctly ‚dose‘ or ‚grade‘ movement according to the current state of your patients nervous system and then progressively load for increased resilience and confidence. Understanding the difference between a therapeutic movement approach and traditional gym or corrective exercises. A totally new approach to assessing, treating and rehabbing the lower limb and lower back with ready to use skills on Monday morning. and how your treatment approach interacts with it for enhanced outcomes. Learning the research, science & evidence behind why clinical testing, manual therapy, posture, biomechanics & corrective exercise sometimes work and sometimes don’t! Understanding more about modern pain science and its relationship with movement and your current practice. Understanding & use the concepts of variability, variety, novelty & capacity instead of a ‚corrective‘ exercise approach.. Using movement that actually matters to your patients! Build on relevant and meaningful pain free movement to ‚reframe‘ it to the CNS. Appreciating pains affect on the motor and sensory system and how to use graded and progressive movement to reverse it. Appreciating the multi-factorial nature of pain and injury from tissue homeostasis to stress and lifestyle loads and the sensitised nervous system.